I have come across this tree on both trips to Africa now, which makes it all the more special to me. 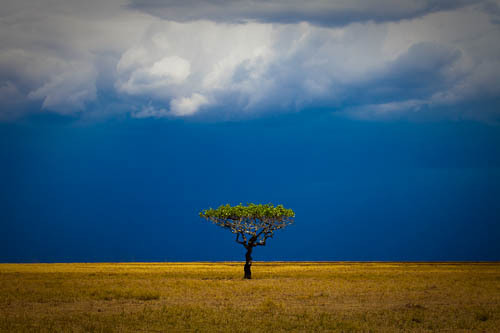 I photographed it on my first trip to Africa, in the Serengeti National Park in East Africa. To me, this Acacia tree resembles the African woman…the trunk is the body, the branches her arms, which carry her load upon her head which is the foliage. Can you see it? This is gorgeous. Love the color, and the single tree. Thanks Eden…yes, I think the single tree and dramatic sky make for a powerful image. Great image Sam, it sure doe’s look like an African woman!